I saw you on Sunday. Your frailty hidden by your pyjamas matching your ocean blue eyes. Your hands gently clutching onto the story that was running away from you. You were charming, you were witty, you were caring. You were so quintessentially you. Last night you took a deep breath and set your spirit free. To roam to places unknown. To play with the angels. Today you gifted us with pure perfection: a windless winter’s day, the sun’s rays making diamond sparkles on the sea and the whales waving their tails in the bay. Or was that your hand with sparkling diamonds waving us a last goodbye? Wishing you a perfect life in perfect places. Thank you for the indelible marks you left on my life. For all the many reminders where I will always be able to find comfort just for knowing you. 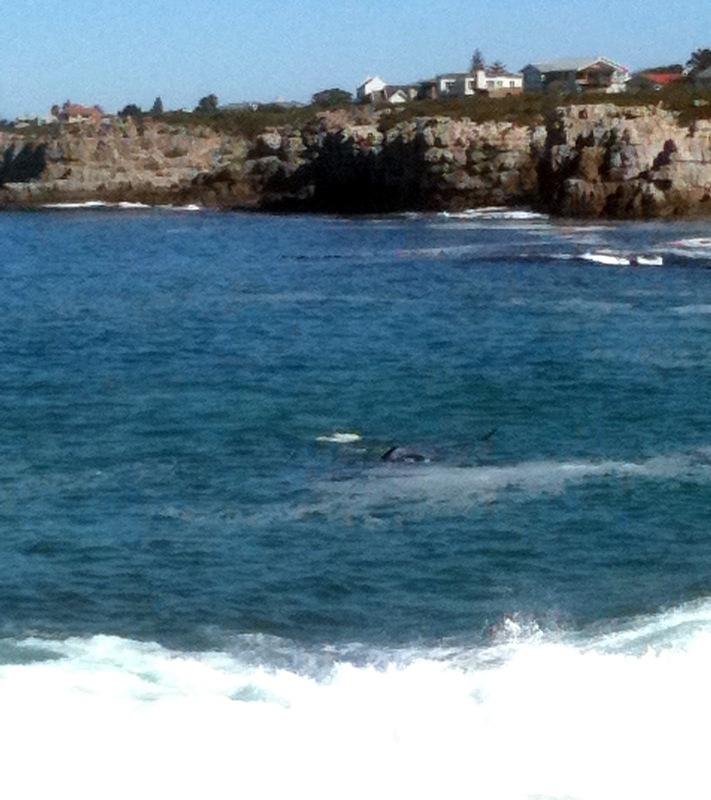 The photograph: A really bad photograph taken with my iPhone of the whales in the bay on the day after you left us.